LEARN The Quickest Way How To Sell Your TBC Coins. Think back to why you joined TBC. What got you interested in it? Was it the 5% daily? The amazing vision? The growth of the coin in time? Put your personal spin on this and grow your own audience. There are millions on Facebook that haven't even heard of the Billion Coin yet and yet I see people getting frustrated because nobody will purchase their coin in the TBC groups. Well it's time for some tough love. They won't purchase coins because they either already have them, are happy dealing with their trusted seller or wish to purchase directly from site. 3. Get People Plugged In! As part of building relationships, if people are interested in what you have to say, and they will be get them to register their free account atwww.TheBillionCoin.org. Tell them about the free training and educational materials in the back office, all the stats they will ever need and a host of other members who are thriving in different countries all around the world. You can gift them a coin after you help them set up their wallet. You are not only helping yourself to build long term relationships, you are helping every other member in the community also. There will come a time when your own coin will be worth a great deal and having multiple relationships built up will only increase your chances of getting future based buyers. 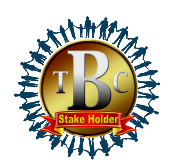 This will of course be in additional to any exchanges there will be or the thousands of TBC accepted merchants from all around the globe. I saw a guy on Facebook yesterday generating great interest in TBC with his unique advertising. I was very impressed! So plug into your passion, what got you interested in TBC and write some ads for yourself and get going. Be your own exchange while we wait for the community to explode. Things will be different then, we are still in infancy. This is your baby, make it happen and you'll have buyers in numbers. Like & Share Credit to Mr. Richard Morrison with this amazing post!